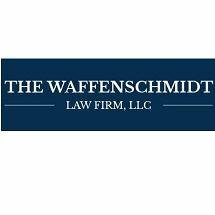 At The Waffenschmidt Law Firm, LLC, we have recovered millions for clients in more than 35 years of practice working on personal injury cases. Our approach has obtained millions for clients. We always fuse rigorous preparation with a client-centric approach to communication. In every workers' compensation and personal injury case, we work on contingency. This means that from the first meeting through to settlement or judgment, we will never obtain any fees for our work — we only collect if you obtain the compensation you need in a verdict or settlement. Additionally, if you come to us with a legal need that we are unprepared to address, we will ensure that we find the best lawyer possible to handle your issue. We encourage you to reach out and schedule a free consultation as soon as possible. To get in touch and schedule a free initial consultation to discuss Williamsport, Pennsylvania, personal injury issues, call 570-505-5561 or email the personal injury attorneys at The Waffenschmidt Law Firm, LLC.